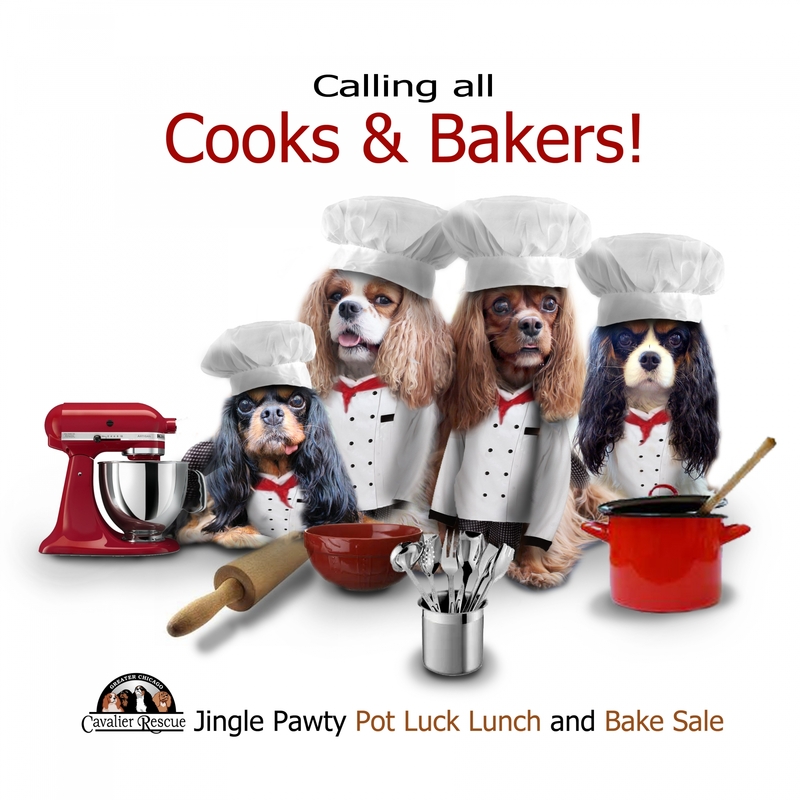 This year's Jingle Pawty again features a POT LUCK Lunch and BAKE SALE! WE NEED YOUR HELP TO MAKE THAT POSSIBLE! We are requesting that you bring all food items in disposable containers; utensils are NOT needed. Your participation is greatly appreciated and essential to the success of the Jingle Pawty! Please RSVP to rbstonecipher@gmail.com with what you are bringing for the potluck and/or the bake sale!! POT LUCK: Please bring a food item (feeds 6-8 people) in the category following the letter of your last name. CHICKEN, PASTA (meat and meatless), ROLLS AND DRINKS WILL BE PROVIDED. Last Names A-M: SALADS (hot or cold) contact the email address above for suggestions if needed. Please bring your items in disposable containers, wrap your goodies in "ready to sell amounts", (like cookies 6 to a container) and again NO utensils are needed. REMEMBER DOGGIE BAKE SALE ITEMS ALSO. Important: Please attach a complete list of ingredients to all bake sale items. We are counting on YOUR HELP to make the Jingle Pawty a huge success again this year!! REMEMBER - IT'S ALL ABOUT THE DOGS! !